In a desperate bid to regain profitability a decade ago, airlines slashed services and added fees for things that once were free. It worked, and now that airlines are back in the black, customer service in the skies is improving. A year ago, Airlines For America (A4A) Vice President and Chief Economist John Heimlich said that airlines are now trying to gain passengers with low fares and service improvements, like adding more nonstop routes. He said the industry also increased the supply of scheduled seats at U.S. airports in markets large and small. This week, United Airlines rolled out a new package of in-flight entertainment options. Passengers on flights equipped with Wi-Fi can purchase the DIRECTV package to view on their smartphones and tablets. Since February, United says it has installed personal device entertainment onto more than 200 aircraft that previously only offered DIRECTV. Customers can now use a personal laptop, Apple iOS device, or Android device to access a library of complimentary movies and TV shows, in addition to having the opportunity to purchase DIRECTV to view live programming. "Whether it is seatback on-demand, DIRECTV or personal device entertainment, we offer customers hundreds of hours of programming to enjoy during their travels," said Mark Krolick, vice president of marketing at United Airlines. "We're excited to expand our personal device entertainment offering, which has been a popular option amongst many of our customers who tend to bring their own devices when they travel." Because so many travelers now watch content on their smartphones, United said it will distribute small cardboard stands to passengers during the peak summer travel months. The stands can hold a smartphone on the pull-down tray table, allowing for hands-free viewing. 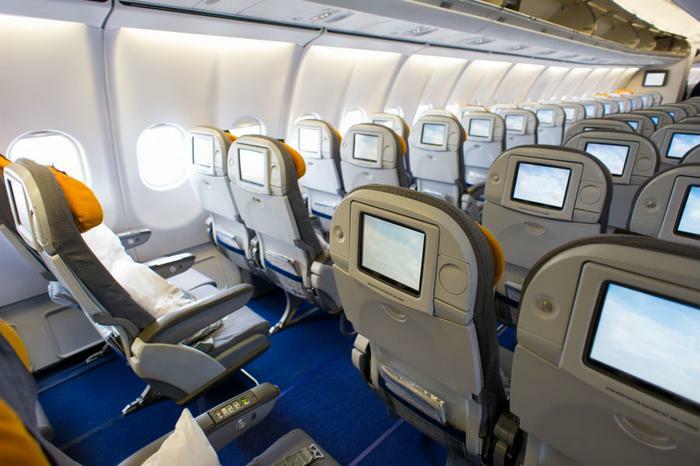 The airline said it is also installing electric power outlets in aircraft seats to help passengers keep their devices charged. To learn what entertainment options will be provided aboard a particular flight, passengers can access an entertainment listings webpage. Wall Street investors are not always happy when airlines plow profits back into improving service, believing they should be distributed to stockholders instead. When TheStreet.com recently rated the top 10 airline stocks, Alaska Airlines, which is consistently rated among the best for customer service, didn't make the list.